Today, we announced that Google Compute Engine now offers machine types with NVIDIA T4 GPUs, to accelerate a variety of cloud workloads, including high-performance computing, deep learning training and inference, broader machine learning (ML) workloads, data analytics, and graphics rendering. In addition to its GPU hardware, NVIDIA also offers tools to help developers make the best use of their infrastructure. NVIDIA TensorRT is a software inference platform for developing high-performance deep learning inference—the stage in the machine learning process where a trained model is used, typically in a runtime, live environment, to recognize, process, and classify results. The library includes a deep learning inference data type (quantization) optimizer, model conversion process, and runtime that delivers low latency and high throughput. TensorRT-based applications perform up to 40 times faster1 than CPU-only platforms during inference. With TensorRT, you can optimize neural network models trained in most major frameworks, calibrate for lower precision with high accuracy, and finally, deploy to a variety of environments. These might include hyperscale data centers, embedded systems, or automotive product platforms. In this blog post, we’ll show you how to run deep learning inference on large-scale workloads with NVIDIA TensorRT 5 running on Compute Engine VMs configured with our Cloud Deep Learning VM image and NVIDIA T4 GPUs. Built on Deep Learning VMs preinstalled with TensorFlow, TensorFlow serving, and TensorRT 5. Configured to auto-scale based on GPU utilization. In this section, we will create a VM instance to run the model, and then download a model from the TensorFlow official models catalog. A single GPU is enough to compare the different TensorRT optimization modes. Leveraging fast linear algebra libraries and hand tuned kernels, TensorRT can speed up inference workloads, but the most significant speed-up comes from the quantization process. Model quantization is the process by which you reduce the precision of weights for a model. For example, if the initial weight of a model is FP32, you have the option to reduce the precision to FP16 and INT8 with the goal of improving runtime performance. It’s important to pick the right balance between speed (precision of weights) and accuracy of a model. Luckily, TensorFlow includes functionality that does exactly this, measuring accuracy vs. speed, or other metrics such as throughput, latency, node conversion rates, and total training time. TensorRT supports two modes: TensorFlow+TensorRT and TensorRT native, in this example we use the first option. This test requires a frozen graph from the ResNet model (the same one that we downloaded before), as well as arguments for the different quantization modes that we want to test. This command will take some time to finish. The --native arguments are the different available quantization modes you can test. When the test completes, you will see a comparison of the inference results for each optimization mode. From the above results, you can see that FP32 and FP16 performance numbers are identical under predictions. This means that if you are content working with TensorRT, you can definitely start using FP16 right away. INT8, on the other hand, shows slightly worse accuracy and requires understanding the accuracy-versus-performance tradeoffs for your models. Using FP32 optimization improves throughput by 40% (440 vs 314). At the same time it decreases latency by ~30%, making it 0.28 ms instead of 0.40 ms. Using FP16 optimization rather than native TF graph increases the speed by 214%! (from 314 to 988 fps). At the same time latency decreased by 0.12 ms (almost 3x decrease!). Using INT8, the last result displayed above, we observed a speedup of 385% (from 314 to 1524) with the latency decreasing to 0.08 ms. The above results do not include latency for image pre-processing nor HTTP requests latency. In production systems the inference’ speed may not be a bottleneck at all, and you will need to account for all the factors mentioned in order to measure your end to end inference’ speed. Now, let’s pick a model, in this case, INT8. SavedModels are generated to accept either tensor or JPG inputs, and with channels_first (NCHW) and channels_last (NHWC) convolutions. NCHW is generally better for GPUs, while NHWC is generally better for CPUs, in this case we are downloading a model that can handle JPG inputs. To ensure that everything is set up properly, try running an inference test. Now that we have a model in Cloud Storage, let’s create a cluster. Installs NVIDIA drivers, NVIDIA drivers are installed on each new instance. Without NVIDIA drivers, inference will not work. The startup script runs tf_serve.py, which contains the inference logic. For this example, I have created a very small Python file based on the TFServe package. To view the startup script, see start_agent_and_inf_server.sh. You’ll need to set up a managed instance group, to allow you to run multiple instances in specific zones. The instances are created based on the instance template generated in the previous step. INSTANCE_TEMPLATE_NAME is the name of the instance that you created in the previous step. You can create this instance in any available zone that supports T4 GPUs. Ensure that you have available GPU quotas in the zone. Now, you’ll need to enable auto-scaling for your managed instance group. The custom.googleapis.com/gpu_utilization is the full path to our metric. We are using level 85, this means that whenever GPU utilization reaches 85, the platform will create a new instance in our group. 1. SSH to the instances. See Connecting to Instances for more details. During the make process, you may receive some warnings, ignore them. 3. 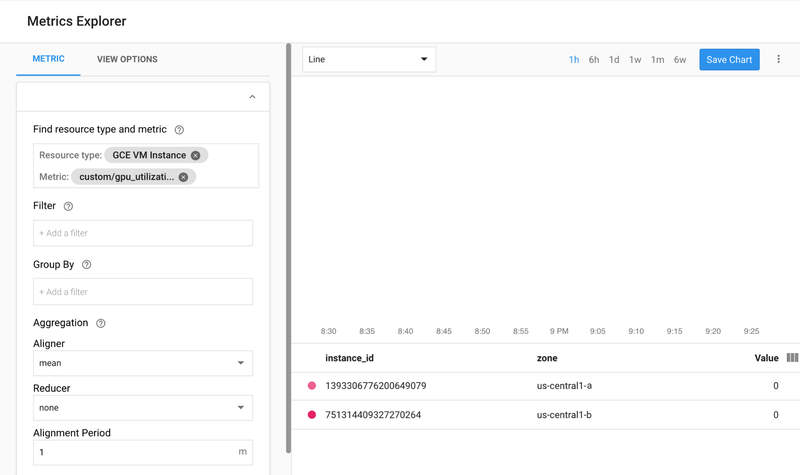 You can observe the autoscaling in Stackdriver, one instance at a time. 4. 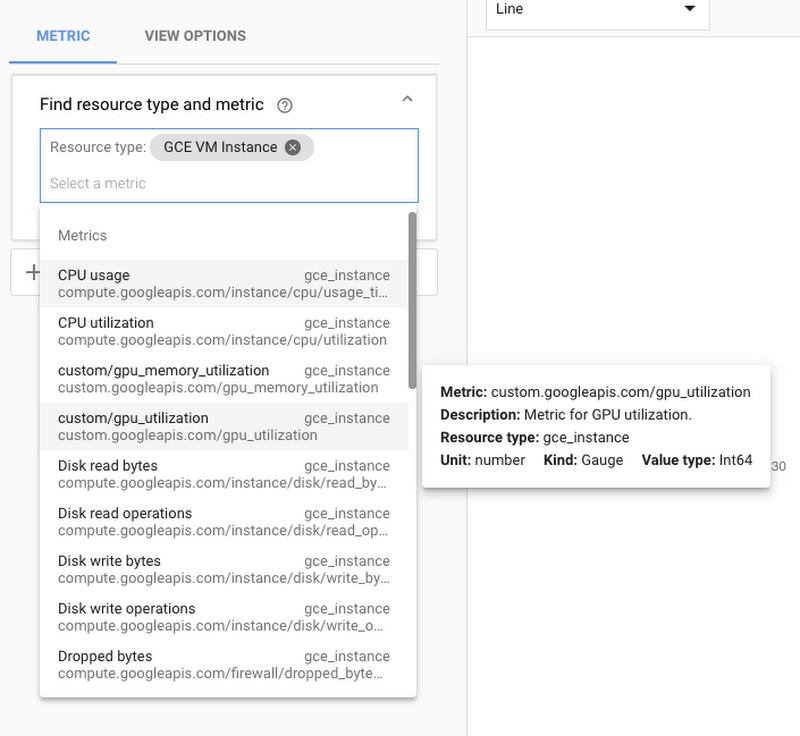 Go to the Instance Groups page in the Google Cloud Console. 5. Click on the deeplearning-instance-group managed instance group. 6. Click on the Monitoring tab. At this point you can safely stop any loaded instances (due to the burn-in tool) and watch the cluster scale down. Health checks are used to determine if a particular host on our backend can serve the traffic. Configure named-ports of the instance group so that LB can forward inference requests, sent via port 80, to the inference service that is served via port 8888. Create a backend service that has an instance group and health check. The load balancer needs to know which URL can be forwarded to the backend services. You can use the following Python script to convert images to a format that can be uploaded to the server. """Open image and convert it to base64"""
Running ML inference workloads with TensorFlow has come a long way. 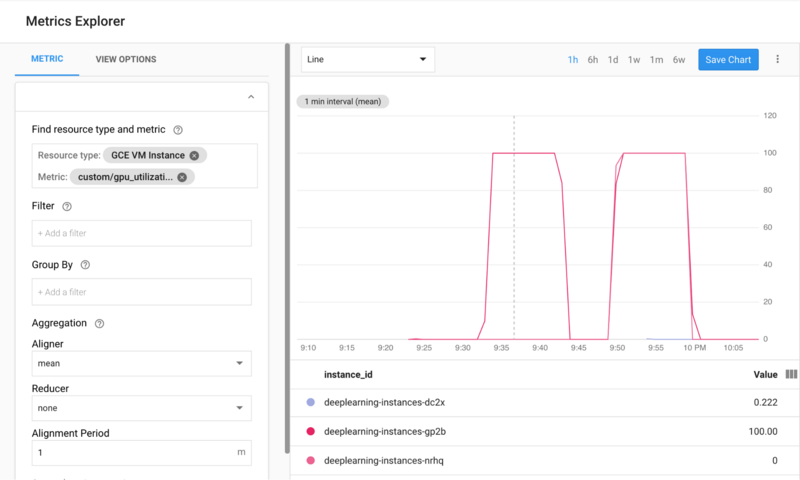 Together, the combination of NVIDIA T4 GPUs and its TensorRT framework make running inference workloads a relatively trivial task—and with T4 GPUs available on Google Cloud, you can spin them up and down on demand. If you have feedback on this post, please reach out to us here. Acknowledgements: Viacheslav Kovalevskyi, Software Engineer, Gonzalo Gasca Meza, Developer Programs Engineer, Yaboo Oyabu, Machine Learning Specialist and Karthik Ramasamy, Software Engineer contributed to this post.